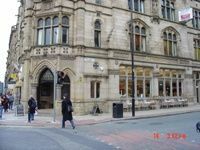 Are you looking for a cafe in the centre of Manchester that offers catering services and sandwiches? If so then you need look no further than Katsouris Deli. As a well established business we have been providing our customers with food from our restaurant for 13 years and we are also pleased to offer catering services for private events. Give us a call on the number above and we will be happy to discuss your requirements. 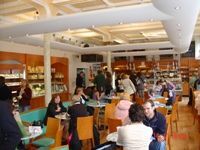 From our city centre location we are ideally placed to provide a comprehensive range of foods to both the general public and corporate events. Whether you are looking for sandwiches on your day out in Manchester or catering services for your business meetings, Katsouris Deli can accommodate you. Call us now and a member of our team will be delighted to offer our assistance to you. For a hot carvery, sandwiches or breakfasts there is only one name that you need to know in the Manchester area; Katsouris Deli. We pride ourselves on providing a friendly and efficient service at all times from our city centre location, with our dedicated members of staff here to ensure our clients enjoy a value for money experience each time they use us. Whenever you require catering services from your local cafe in Manchester do not delay and contact Katsouris Deli today. We can be reached by calling the number listed on this page in the first instance or you can send us an email by completing and submitting the form found on the contact page of this website. All enquiries are welcome and we will get back to you as soon as we possibly can.